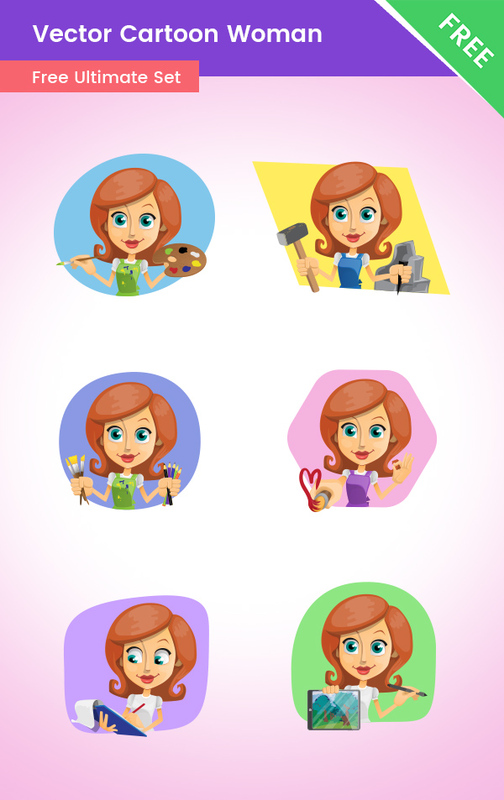 An artistic vector cartoon woman character in 6 different poses. She is artistic, loves to draw and sculpt, and she will definitely grab the attention of your audience. In this set, you will find a cute girl character made only with the usage of vector shapes. If you are familiar with vector-based software, you would know that you can easily modify these vector cartoon illustrations and change the colors. All of the poses include a background which makes them ready to use everywhere. You can easily just include the character’s pose you like into your designs and you are ready! Our artistic girl is perfect for art, drawing, or child related designs.